The on-site investigation into the cause of a fire last night at Leon Heights Elementary concluded today with a determination that the cause of the fire is suspicious. No other other details about the determination were released, although the investigation is ongoing. The fire was contained to a small section of the main hallway of the school, near the administration office. Damage was limited to a door, skylight structure and adjacent ceiling tiles. Belton Fire Marshal Jeff Booker was assisted in the inspection of the school by the State Fire Marshal's office. He also coordinated today with the Belton Police Department. 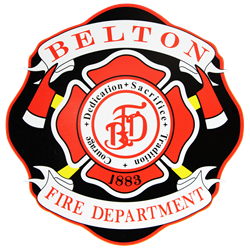 The Belton Fire Department was called to the school at 8:44 p.m. on Thursday. At that time, flames were visible on the roof of the structure. No injuries were reported.